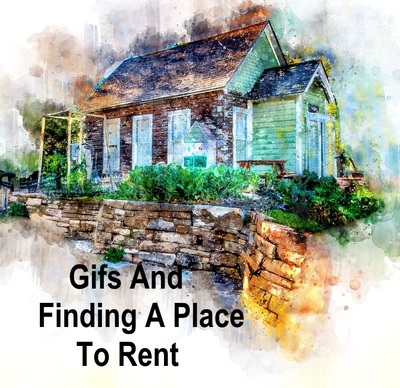 Okay, the time has come to move out of home and rent a place of your own or maybe you are thinking about moving from your current rental when the lease ends. Perhaps a relationship has ended and you need to move to new accommodation. There are numerous things to consider in addition to whether you can afford the rent. What sort of accommodation do you want? Are you looking for a house, flat, apartment, semi-detatched or just a room? Do you need a furnished place? Are you longing for an upstairs apartment with a view or do you want a ground floor dwelling? If you are going to be living with one or more others it is important to discuss what everyone wants and come to a compromise. What is really important to you? Make a list of things a place must have. It is a good idea to do this before you check a place out as you may apply for it having forgotten something important because there are others interested in the property. If you don't own a car, proximity to public transport is likely to be a priority. If you work in the CBD you will probably want to use public transport, even if you have a car. Parking fees are high in the city and can really add up over the course of a week. If you will be living on your own, a single room in a share house could be suitable. However, consider your personality. Do you need to be on your own frequently to recharge your batteries or would you like to have others near by? Much would depend on the type of people living in the share house. A studio consisting of a single bedroom or perhaps a large room which combines bedroom and sitting room might be suitable if you are going to be living alone or with a partner. If you have lots of possessions or work from home you may need a 3 bedroom house even if you live alone. What sort of kitchen do you want? Do you love to cook Do you do lots of entertaining? You may want a big kitchen with a dishwasher. Plenty of storage in the kitchen could be a priority. On the other hand perhaps you cook only the most basic of meals or often eat away from home. In this case a small basic kitchen with limited cupboard space may be fine. Do you want an outdoor entertaining area? If you often entertain family and friends you may consider a covered outdoor area an essential, even if it means compromising on something else. Do you have a car which you want to keep under cover? Check to see if there is a car port or shed available. If not, is there a driveway to park in or will you have to park in the street? Is this acceptable to you? Do you need a shed to store garden tools, surplus furniture or other possessions? Do you want a yard/garden? Some people don't want to bother with maintaining a garden. Other people, like me, need a garden, even if it is small. I can't imagine being happy if I couldn't potter in a garden or sit outside drinking my coffee. Many places won't allow you to rent if you have a dog or cat. Some say 'Pets negotiable' or 'small dog only'. A bird in a small cage and fish are usually not a problem, but check first. As well as checking if you are allowed to have a pet, consider if the place is suitable for your pet. Are the fences and gate secure? Is there enough space? Once you find somewhere that appeals, have a good look around. What is the neighbourhood of your potential home like? Does it seem safe? Are there skid marks on the road outside? Is it close to a noisy highway or train line? Although I live next to a train line the trains don't keep me awake, but some may find the noise disturbs them at night. It is quite possible you won't be able to find an affordable place which ticks every box but hopefully you will find something that fulfills most of your requirements. Do you have an outdoor table?